I am so over Justin Timberlake. I can't even watch the In Time trailers without feeling his smarm, and his pimping out of Mila Kunis earlier this summer during the Friends with Benefits PR tour just killed the attraction for me. He officially grosses me out now. I agree about Timberlake. I don't think he can sing and even his speaking voice is unappealing to me. I haven't yet seen him in anything, but I would want to see In Time if he wasn't in it. I found Morgan Freeman annoying after watching his Inside the Actor's Studio interview. He came across as smug and in love with himself. I do like his acting, but I don't need to watch another interview of his ever again. 19uses wrote: He came across as smug and in love with himself. I do like his acting, but I don't need to watch another interview of his ever again. I feel that way about pretty much all entertainers. Most of them probably are that way, though some can be more entertaining about it, like Hugh Grant. He seems like a whiny PitA to be around all the time, but fun and clever in small doses. You try and stay humble with James Lipton licking your feet. I try to avoid reading any celebrity interviews, for this very reason. It's so depressing to learn a celebrity I love is a big jerk. I watch the TV shows/movies and listen to the music, and I'll listen to gossip and celebrity news, but I never read interviews unless they're linked in Celebrity Good Quotes. I made that mistake with John Mayer and I never will again. Is my life better because I know what a douche John Mayer is? Maybe so. But do I now feel guilty and unable to truly enjoy his music anymore when I formerly loved it? Yes. I try to avoid reading any celebrity interviews, for this very reason. It's so depressing to learn a celebrity I love is a big jerk. Maybe I should do the same, but for the opposite reason. I'm so used to celebrities being awful people, that when I come across one who seems like a genuinely lovely person, I develop an irrational crush on them and place them on a pedestal that can't be healthy. James McAvoy has escaped my lust purely because he avoids talking about his personal life. If he revealed one gushing syllable about his wife or baby, I'd be a reduced to a puddle of goo. I'm clearly not a well woman. I'm so used to celebrities being awful people, that when I come across one who seems like a genuinely lovely person, I develop an irrational crush on them and place them on a pedestal that can't be healthy. Ha, I do the exact same thing. You're not alone in that one. I used to really dislike Justin and over the years have mellowed on him. I can't really be sure as to why that happened. I don't love the guy or anything, but I don't feel like socking him in the face anymore whenever he pops up on my TV, which is a relie since he tends to do that a whole damn lot. I think not bothering to read or watch any interviews of his has probably made me feel less strongly about him. I can take him or leave him at this point. 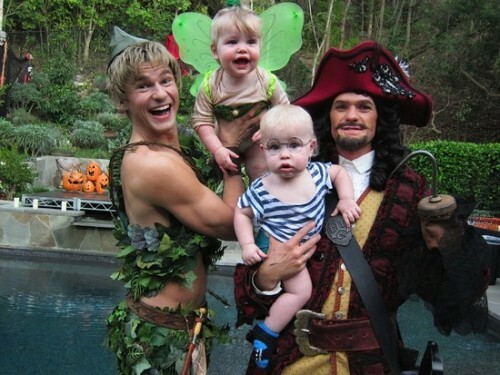 I hate Neil Patrick Harris. Something about him just rubs me the wrong way. I thought he was cute back in the Doogie Howser days, but everything he has done since then, with the possible exception of Dr. Horrible, has made me want to punch him in the face. And he's everywhere these days! I tried complaining to one of my friends the other day and he was all, "Really? He seems so nice." NO. NO HE DOESN'T. HE HAS YOU ALL FOOLED. But even if he is the nicest person on the planet, I still desperately want him to go away and be nice in private. (spoilered because it makes me feel queasy). There are apparently pictures here which I haven't seen, but they're supposed to be pretty disgusting. So without having had a very strong opinion of NPH, I'm inclining to dislike. Wow. Tacky is not enough to describe that. Why did I click on the link? Why do I always click on the link? I'll admit to feeling a teensy bit happy that I now have an actual event to point to to explain my dislike, but I'd easily give that up to live in a world in which someone (several someones, I guess, because who cooked and assembled it?) didn't think this was a good idea. How nasty. I'm super squicked by the forethought that must have gone into the whole thing. It would have a been a cool, if somewhat disgusting, Halloween idea if they hadn't made it up in the form of an actual dead person that people know. Yuck. I thought I was prepared for whatever was on the other side of that link, and it turns out I was not. That just seems so unnecessary and mean-spirited. Why did I click on that link? Isn't Harris's boyfriend a chef? I'm hoping he did all of the prep work and no one else was involved in this tacky, tacky mess. ActuallyNPH: David's @GourmetMD served fantastic food presented in the most disgusting ways imaginable (didn't mean to offend). Gross, yet gourmet. Aaaand I was just about to have dinner. "How gross can a cake corpse be?" I thought. "It's CAKE!" I thought. I loved NPH just a year ago, but in recent months, the sight of his face makes me a little punchy. He just exudes a smugness or something that now irritates me. I am just....speechless. What made them think anything about that is ok? I would love to have seen how the guests reacted. That is just horrible on so many levels! I guess my unpopular opinion is that assuming the twitter photo from a guest who's post no longer exists is accurate and that it is from NPH and David's party I don't have a problem with it. It was a private Halloween party of friends that wasn't supposed to be publicized in any shape or form, I have seen more disgusting things and more inappropriate costumes at parties I have attended, to which my reply was "damn!" but nothing that is going to make me hate him. Jesse Tyler Ferguson is clearly going to be giving his boyfriend a lecture about Twitter etiquette when it comes to parties. I imagine at least they didn't put it out before the kids went to bed. I don't think NPH tweet was meant to be an apology, it was tweeted before Justin's tweet went viral. He had posted pictures of other non-celebrity related photos of the food. Glad it was delicious, Neil! That totally makes up for its crudeness and disrespect to the late Ms. Winehouse! You raise a good point, biakbiak. I think the fact that I already dislike NPH now probably affects how I responded to that tweet. biakbiak wrote: I guess my unpopular opinion is that assuming the twitter photo from a guest who's post no longer exists is accurate and that it is from NPH and David's party I don't have a problem with it. It was a private Halloween party of friends that wasn't supposed to be publicized in any shape or form, I have seen more disgusting things and more inappropriate costumes at parties I have attended, to which my reply was "damn!" but nothing that is going to make me hate him. I don't think the cake is any less distasteful because it was intended to be private. It's flat out tacky. My unpopular opinion is that I cannot stand Anderson Cooper, and I really dislike that he's a gay icon when he's not even publicly out. People say coming out would affect his career, and I can't disagree with that, but then why is he a gay icon when he's staying in the closet? I don't think this makes me hate him, but it does make me side-eye him with disgust at this particular decision. What makes it so tasteless for me is that it was supposed to resemble a public figure who was alive until not very long ago. If it had been a random, nameless corpse, it would have been kind of cool. But to cook a meat dish in that form and then go through the trouble of even recreating her tattoos and then mime eating a specific, actual, recently-dead person's corpse is incredibly nasty. And also, it's not like he's a nobody in the middle of Montana or wherever. He's a celebrity. It didn't occur to him that something like that might get out? And if it did, how hurtful it would be? I also hate Anderson Cooper! Probably more than Neil Patrick Harris. Part of is that I hate everything CNN has become these days, and he's a part of helping make it that way. But also, what you said about the fact that he's not even out. And also his smug face. And the backstory he's created about how he made it all on his own, without any help from anybody. And probably other stuff that I can't think of right now, too.